When researching how to start a remodeling business, you’ll quickly discover that one of the key challenges is marketing your business to attract new customers. This is among the areas where DreamMaker offers tremendous value. We recently launched a new state-of-the-art consumer website to help franchisees spread the word about their businesses. The site is laser-focused on user experience and communicating to consumers exactly what to expect with DreamMaker — namely, our commitment to quality, our 97% customer satisfaction ratings, our remodeling process and hard-earned reputation for consistently excellent customer service. The site makes it simple for homeowners to connect with individual franchise locations, see the services offered by individual franchisees, explore image galleries of different remodels, and start a conversation. It is a powerful lead generation tool. DreamMaker manages the site on a national level, but it has a custom-built backend interface that allows each franchisee to ensure their location website has hyperlocal marketing components. This localization allows franchisees to edit their local version of the site, share customer reviews, show examples of past jobs, introduce their team to potential customers, and even offer location-specific financing packages. Franchisees who want to upload case studies can fill out a simple template that prompts them for specific information. They add their own before-and-after photos and, voila — satisfied-customer case studies specific to local markets are on the site for anyone in their area looking for a reputable remodeler for their bathroom or kitchen project. DreamMaker partnered with Surefire Local to provide franchisees this marketing tool. 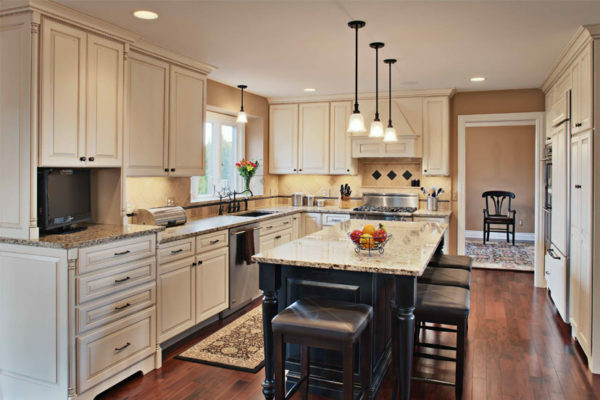 As homeowners are considering remodeling options, they are ultimately telling themselves stories about how changing their home might change their life. 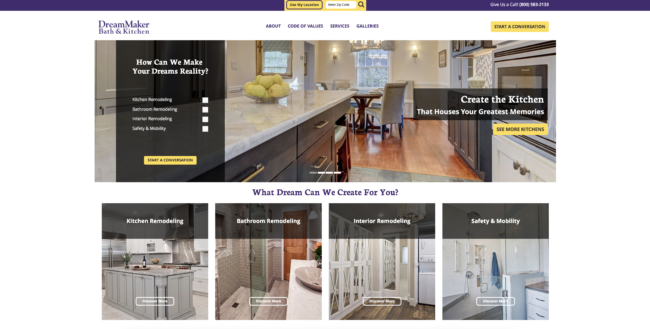 The new site is designed to help homeowners’ stories come to life in vivid detail — and to assure homeowners that DreamMaker franchisees can transform those stories into reality.